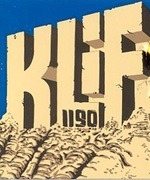 Running close to 10 minutes in length, here’s a decent quality recording of the legendary 1190 KLIF. As we wrote on another KLIF Composite several years ago, the magic that was Gordon McLendon’s brainchild comes to life once more, with the station’s unique jingles, sounders and personalities. Here’s Mike Seldon. Now, someone out there remembers him and we’d sure like to hear from our visitors regarding this period in KLIF’s history. One thing is certain. No audio museum of radio is truly complete without a few from KLIF. Here’s one for the ages. Mike Seldon, when he was on top of his game, was one of the three or four best jocks I ever heard. He combined a sense of humor, terrific timing, and a hipness that was perfect for afternoon drive. He didn’t have to scream to grab an audience. This was not too long after Gordon McLendon sold KLIF, while KLIF still had a top notch air staff.